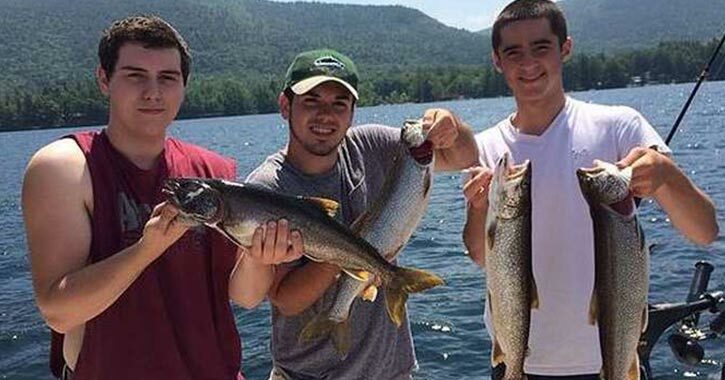 Lake George is one of the top fishing destinations in the Southeastern Adirondacks, but if you’re up for an adventure, then consider dropping a line in the surrounding area. There are many great lakes, ponds, and rivers that are open to the public, as well as an abundant quantity of fish to catch. Make one of these 8 amazing spots your next fishing destination! 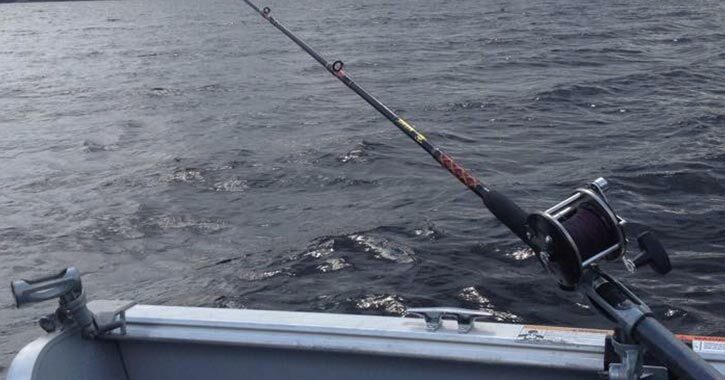 You can’t talk about fishing in the Adirondacks and North Country without mentioning Lake George. At 32 miles in length, the “Queen of American Lakes” is more than a boater's paradise, it’s also an outstanding place for fishing. All around the massive lake, there are beaches and fishing spots where you can cast your line and see if you can reel up a big one. If you want to go boating too, it’s important to note that all vessels 18 feet or longer, or any vessel that is propelled by a motor 10 h.p. or greater, must be registered with the Lake George Park Commission beforehand. Once you’ve ensured your boat is ready for an adventure on the waters of Lake George, the next step is to visit a public boat launch or marina and take off! Some popular places where boaters stop to drop a line include the southeastern corner near Dunham’s Bay and Kattskill Bay, Shelving Rock Bay, Huletts Landing, and near the islands. There are landlocked salmon, lake trout, black bass, yellow perch, and many other species of fish in Lake George. Have you heard of the Battenkill River? Located a short drive southeast of Lake George, this 60-mile long natural flow river begins in Manchester, VT, travels west through communities in Washington County, and then converges with the Hudson River in Greenwich. The river’s high populations of brown and brook trout have made it a must-visit fishing destination for trout fishermen. For paddlers, there’s a parking lot and canoe launch in the Batten Kill State Forest in the Towns of Jackson and White Creek. The surrounding area is home to many stretches of riverbank that have Public Fishing Rights (PFR’s), which are permanent easements owned by the NY State Department of Environmental Conservation (DEC). Fishermen are free to fish and walk along these designated banks; just remember to show courtesy to the property. The DEC has also created location maps to guide fishermen to local parking areas and riverbanks that are open for fishing. Just north of the Battenkill lies the Mettawee River, which also flows from Vermont into the North Country. Here in New York State, a majority of the river passes through Granville and ends near the border of southern Whitehall and the Champlain Canal. This river is renowned for offering similar fishing conditions to those found in the Adirondack Park. The most common species of fish include brown trout, brook trout, and rainbow trout. 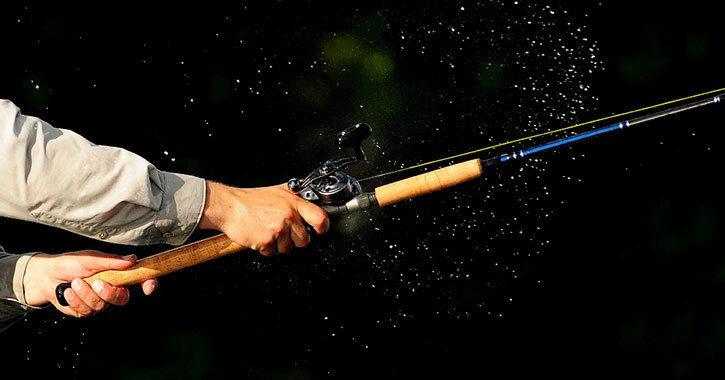 Fly fishermen flock to the area around May and June when the water is lower, and in the fall when the water is cooler. 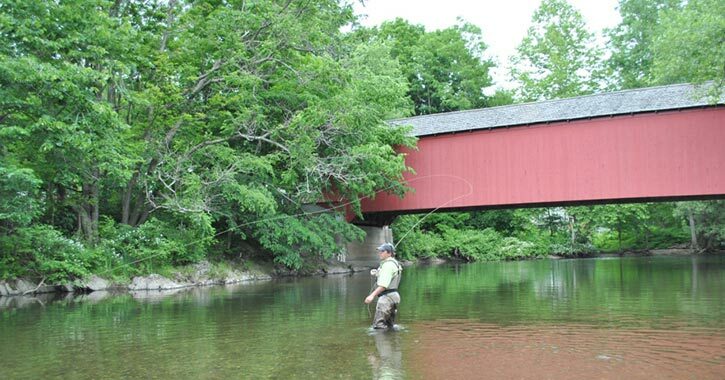 It’s easy to compare the Mettawee River to the Battenkill River, not just for their large populations of trout, but because they both have riverbanks with Public Fishing Rights. 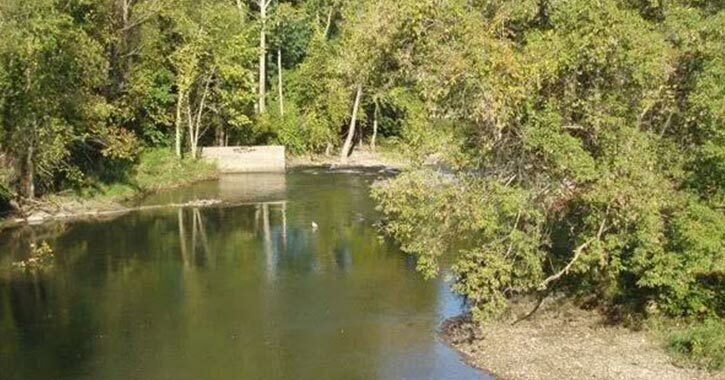 In and around Granville, there are four main stretches of riverbank that fishermen are welcome to fish from. Although the entirety of Lake Champlain is ideal for fishing, one of the can’t-miss spots is located in the southern bay. 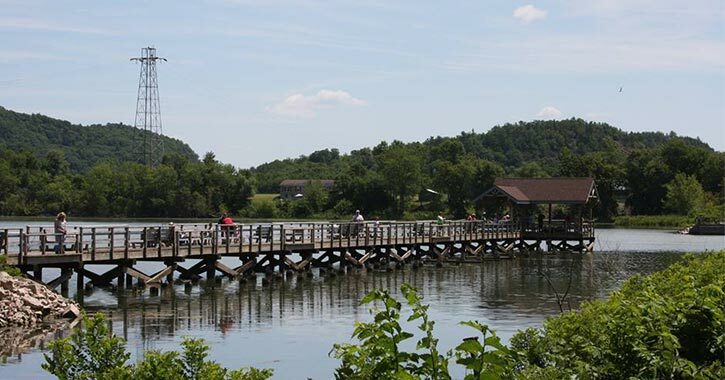 Take a short drive northwest of Whitehall along Route 22, and you’ll discover the John Brooks Memorial Fishing Pier, nicknamed the South Bay Pier. This unique, 300-foot long wooden pier features a universal design, which means seniors, families, and people with disabilities are given barrier-free access from the parking lot to the pier. There are comfortable benches on it, and the far end has a covered pavilion if you’re looking for shelter from the sun. Best of all, visitors can fish in the shallow waters near the shoreline, or they can walk to the end of the pier for prime deep water fishing. Northern pike, largemouth bass, and chain and grass pickerel are all major game fish in Lake Champlain; the lake’s other fish species include yellow and white perch, catfish, large common carp, and more. If you own a boat and want to explore beyond the pier, there is a hard surface ramp and state-owned boat launch nearby. The boat launch offers parking for 48 cars and trailers. Catch one of the region’s most uncommon fish at Cossayuna Lake in Argyle - the tiger muskie! The lake is stocked annually with this species of fish, offering fishermen a challenging yet rewarding experience. Cossayuna Lake’s shoreline is 8.1 miles in length, and the entire body of water is 660 acres. 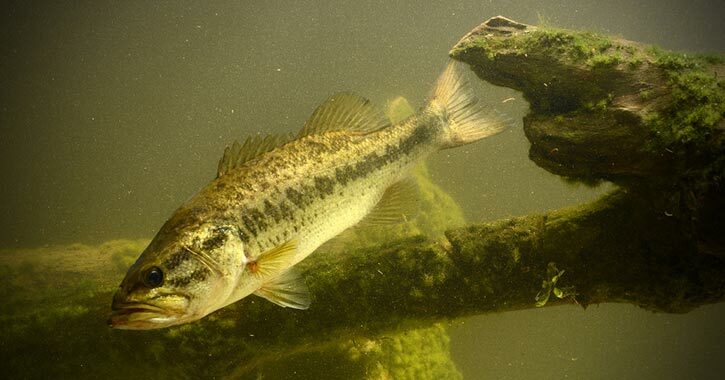 In addition to the tiger muskie, the lake is home to populations of largemouth bass, bluegill, yellow perch, brown and yellow bullhead, rock bass, and pumpkinseed. The main access point can be reached by taking County Route 49 in Argyle to East Shore Road. There is a parking area by the lake that can accommodate 30 cars and trailers, and boaters can launch from the hard surface ramp. This boat launch is designated as wheelchair accessible. Located between Cossayuna Lake and the Batten Kill State Forest, Lake Lauderdale is a pristine lake that is perfect for both fishing and paddling. The lake itself is 70 acres in size, but visitors should consider beginning their adventure at Lauderdale Park on the eastern shoreline. Open seasonally from late May through early September, this park features a playground, volleyball, basketball, a swimming area, and a spot to launch your canoe or kayak. 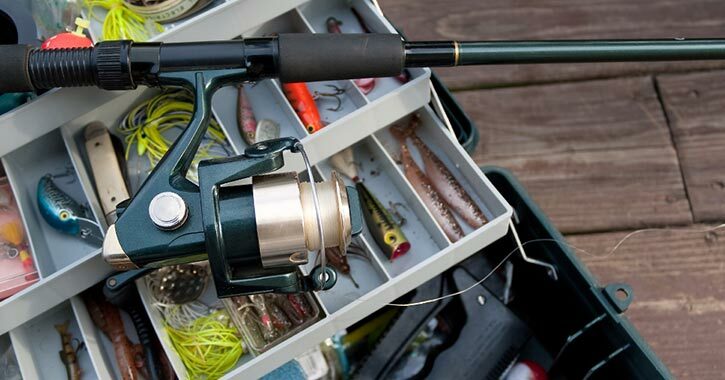 If you decide to take your boat out on the lake, some of the fish species you can catch include largemouth bass, smallmouth bass, yellow perch, brown bullhead, chain pickerel, and pumpkinseed. If you go south from Cossayuna Lake along County Route 49, you’ll soon arrive at the Carters Pond Wildlife Management Area in Greenwich. To get to the pond, you have to access it from the property's southwestern parking lots. While some visit this management area for the interpretive nature trail within the southern end of the property, others take advantage of the excellent fishing opportunities the pond provides. There are largemouth bass, chain pickerel, crappie, northern pike, bluegill, sunfish, and bullhead. When you arrive at the property from the southwestern end on County Route 49, you’ll want to park at the northern lot (the one located .3-mile north of the other). This large parking area leads to the boat launch and water’s edge; the southern lot leads to the nature trail. At the pond, boats must be carried to the water, and the only type of motor you may use is an electric one. In Whitehall, the East Bay Wildlife Management Area is a hidden gem fishing spot near Lake George. Featuring emergent marshes in a scenic setting, this property is a great choice for fishermen who’d prefer a little more privacy than usual. Some of the fish in East Bay include bass, crappie, walleye, pike, catfish, and panfish. The trailhead and parking lot for the management area is on County Route 10 just past the intersection with Stalker Road. Walk to the end of the designated hiking trail, and you’ll arrive near the East Bay shoreline and two small boat launches for canoes and kayaks.